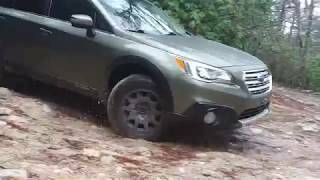 skid plates and turbo engine..yup..Subaru, quit playing into the old peeps please...wow. 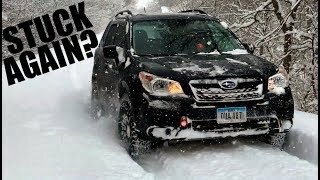 Make an Forester WRX STI! If you want to get there and back, stop messing around and trade your Subaru in on a Power Wagon. 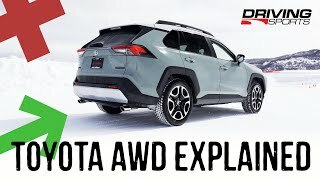 Or you can just get an old Subaru with actual differentials, without traction control and you are automatically always in the 2nd x-mode and you can get through without pressing buttons. X-mode is a scam. 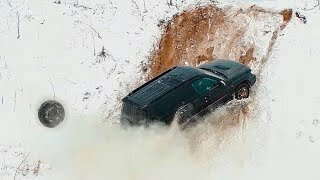 What was really educational was how simply cutting the wheels to the right and outside the track at 5:56 got it "stuck" at 5:59. Then, simply by straightening out the wheels at 6:01 it miraculously became "unstuck" which seemed to have nothing to do with xmode but merely because the wheels were straightened. The fact that this unstoppable beast could be stopped dead in its tracks simply by turning the wheel and trying to travel outside the tracks in the snow made by someone else is disturbing. Can you imagine what would happen if you had to rely on this thing to get you home after a snowstorm in fresh undisturbed snow more than a few inches deep? 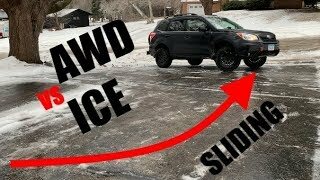 At least I know I should look for a car with actual ground clearance now as that was frightening how easily that AWD Subaru was stopped by a few inches of snow. Guess its great to get groceries in after a very light snowstorm or after the roads have been plowed but any real travel will require something with a bit more ability. Wouldn't want to be relying on someone else making tracks in the snow for me to travel in just to get around all of the time. 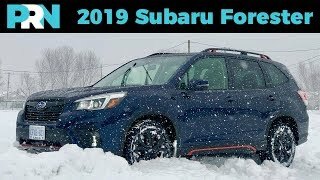 I'm going to point this video out to everyone on the new car forum I'm on because we were all discussing Subaru's and I don't think any of the people on the forum realized how easily these Subaru's could be stopped by just a little bit of snow. Thanks for the heads up and this informative video. 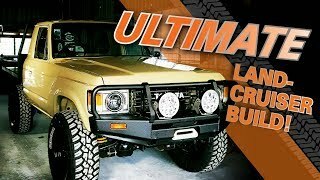 They should add a turbo again, what should they remove? All that tech, or an option to turn it off. 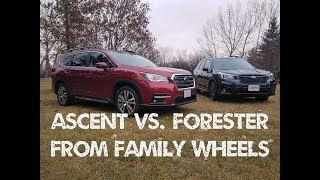 Forester sport with dual exaust , turbo are just the sti edition. 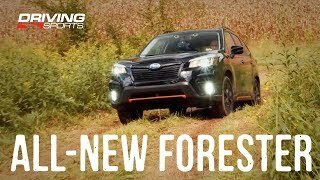 Not saying the 2019 forester is bad in any way (I own one), but notice how his wheels are turned when he finally gets stuck. When he puts it in deep snow mode he also straightens the tires which will change the conditions. As many before me have commented ... MORE POWER. 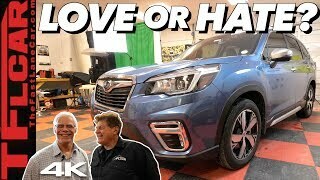 How about taking the 3.6 from the Outback or keeping the current (not detuned) 2.5 and add electric motors for torque, combined pushing the overall HP into the 200s. Better yet get rid of the CVT, decoupling the mechanical drive train and powering 4 electric motors from a generator powered by the current 2.5 ... similar to how diesel-electric railroad locomotives operate. 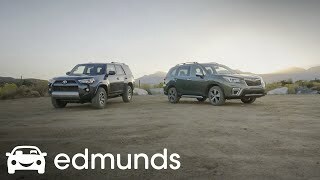 A wolf in sheep's clothing when it comes to off roading. 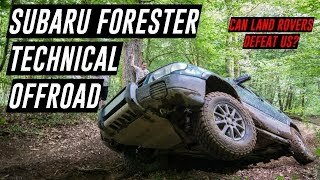 Foresters are awesome. 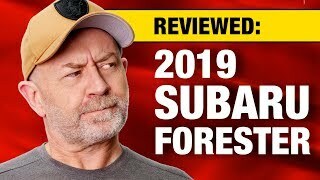 While I greatly respect Subaru's powertrain, I wouldn't buy one until they have an engine with a good deal more power. 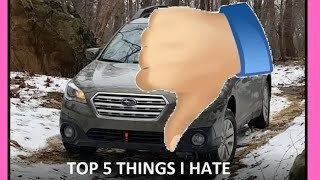 I love my forester sport.. 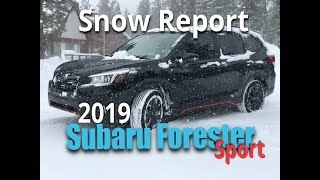 I bought a 2019 Forester Base on December 23rd. 6k miles later and one of the worst winters we've ever had in the PNW, I love this car and the Base is a steal. 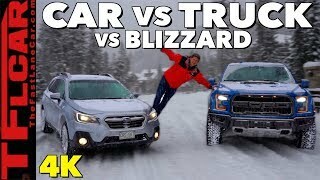 It hung with our F-150 with A/T tires all winter. The power is fine. Maybe not an XT, but this is a great little car. 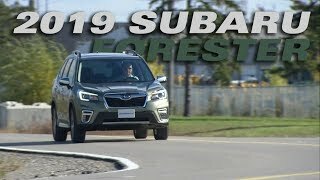 Definitely skid plates as mentioned by many others, stronger front and rear sub frames and how about a factory built portal axle option we can buy from Subaru that will allow the ones that actually use their forester in mud and snow to use larger tires? 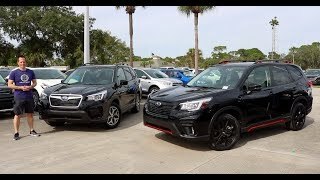 ty this just sold me on the forester! That was a very cringe worthy recovery. Perfect how not to video. 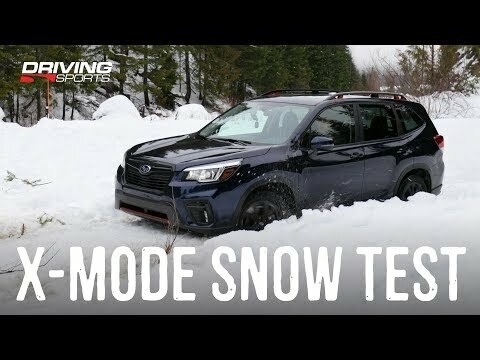 Subaru with X-Mode in deep powder snow!